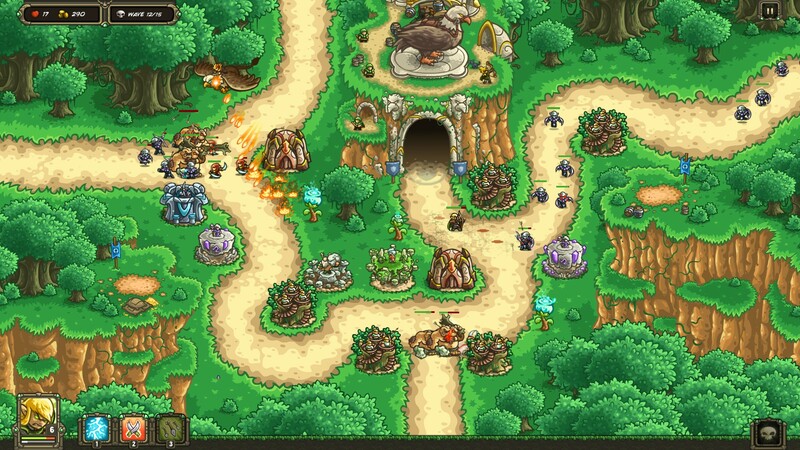 Kingdom Rush Origins, the excellent tower defense game from Ironhide Game Studio is seeing some great updates, with another campaign named Forgotten treasures now up. This is a free update, not some DLC and so it's available to everyone which is really awesome. When we see so many other developers do even the smallest bits for extra payments, it's nice to see Ironhide Game Studio not go that way. It also comes with two more heroes as well! The most dreaded dwarf across the shiny skies. Wilbur is the ace of the Dwarven Air Force! A pioneer who built his own flying destruction machine with the help of his little brother. He will aid you with an arsenal of clever weapons raining down from the skies. Feeling the need for speed? A mythical creature that always gets reborn from its ashes and burns everything in its path! Phoenix will unleash the power of the sun upon everyone who dares to threaten the Elven Kingdom. May the poor souls who face him wear an extreme sunscreen! Have you been finding it too easy? You might regret it but they've added in a new Impossible mode, unlocked once you complete the main campaign. I've probably said this before but I absolutely love the game, a great little gem in the tower defense market. A genre absolutely rammed full of good titles but it still manages to stand out, for multiple reasons. Not only does it look good, it performs well and I've not had a single crash my entire play-through. The quality of games from Ironhide Game Studio is really quite impressive. Not just that, it's the variety you get here that really makes it shine for me. So many different enemy types, each with their own attack patterns along with some maps that change as you play through them. The maps often have special features on them too, like one where you can call forth a giant eagle to bombard a lane and it's pretty awesome. All my time was spent on the Veteran difficulty and some of it really was a challenge, multiple mission failures where I was completely overwhelmed due to not planning my tower placements well. With this new expansion now out, there's never been a better time to take a look at it as there's quite bit to play through. Find it on GOG and Steam.